The feast day of the incomparable Saint Francis of Assisi brought beautiful Autumn weather with it this year. 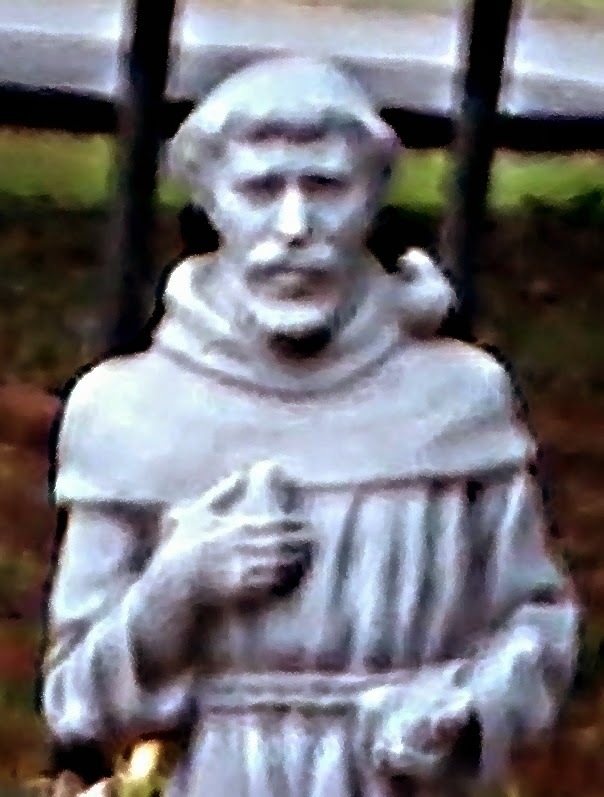 We have a cheap statue of St. Francis on the front porch, and I took some pictures and then fooled about with my Paint program to see what I could make of it. Not much, as you see. 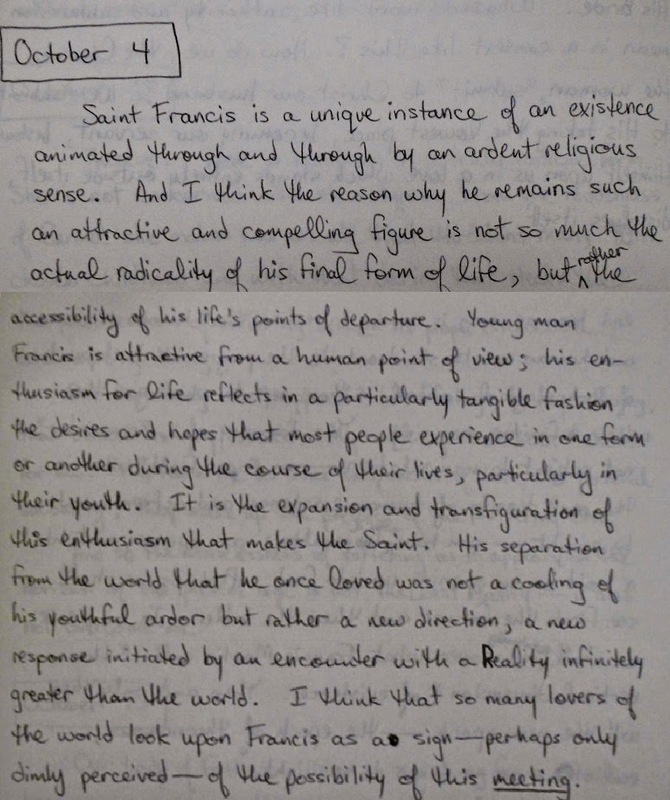 When it comes to the real St. Francis, there is a lot more material to work with. I wrote about his conversion story last month, but I won't give away my telling of that story yet: you'll have to wait for the column to appear next year in Magnificat (May 2015, I think). Instead, I'll look backwards to the words I wrote 24 years ago, on October 4, 1990. The point that Young Janaro made here remains valid, I think. Francis was never a wicked man; on the contrary it was the human vitality of the young troubadour and would-be-knight that shows forth all the more the power of grace to transfigure human nature. The extraordinary sanctity of Francis only intensifies all of the good and generous qualities of his human personality.